Adam graduated from the University of Oregon with a Bachelor's in Jazz Studies, and has been teaching private drum lessons for over a decade. He has experience working with every age group, and has even coached school ensembles, and given clinics about a variety of music topics. Taking drum lessons is the most effective way to become a better drummer, no matter your age, current skill level, or what personal goals you have. 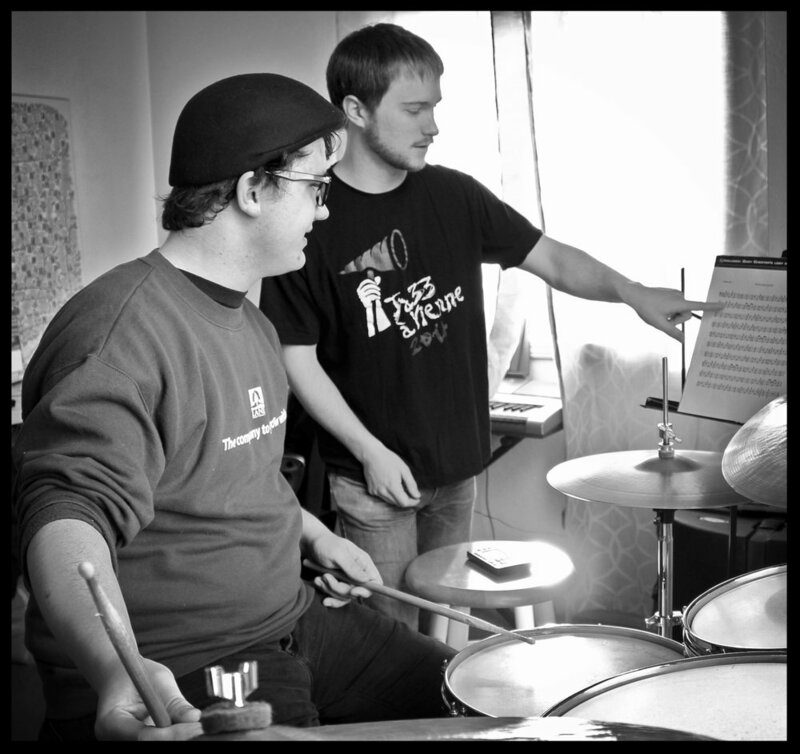 Drum lessons give you a direct route for achieving your goals, and provide a clear, sequential path for improvement. "He is great at pacing the introduction of new information so that kids can learn effectively." You will learn fundamentals that prepare you for continued success in drumming for the rest your life. "A music educator myself, I am consistently impressed with Adam's ability to offer a multitude of solutions and ways to approach a particular challenge." Drum lessons show you how to have fun while practicing, and reveal how playing music becomes exponentially more fun the more skilled you become. "He definitely knows how to adapt to my needs, skills and most important, to my limitations." I strongly believe that playing music should be nothing but pure joy. Learning to play the drums is simply the process of training your body and mind to better express yourself through rhythm and timbre. This process can vary greatly from person to person, and the end result is different for everyone. Although the process of learning anything can feel like a chore at times, I believe every moment of study should be designed to achieve your personal goals and the learning process should be fun, and easy to navigate. Playing music becomes more fun as you hone your skills, and the path to improvement should be enjoyable too.